The CLEANDiesel small housings are versatile filter vessels designed for use with high performance filter cartridges. The VF-61, and VF-62 are versatile filter housings designed for use with several different high performance Aquacon® filter cartridges, as well as a variety of paper filters and coalescer/separator cartridges. The VF-64 and VF-65 filter housings are designed to meet various requirements: a fuel filter/water separator and a micronics filter. 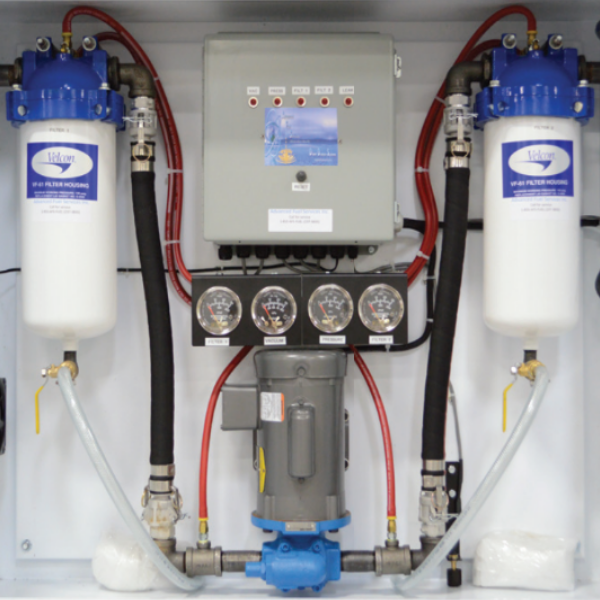 Ideal for fuel dispensing applications, assemblies can be used on mobile refuelers or installed in refueling cabinets.